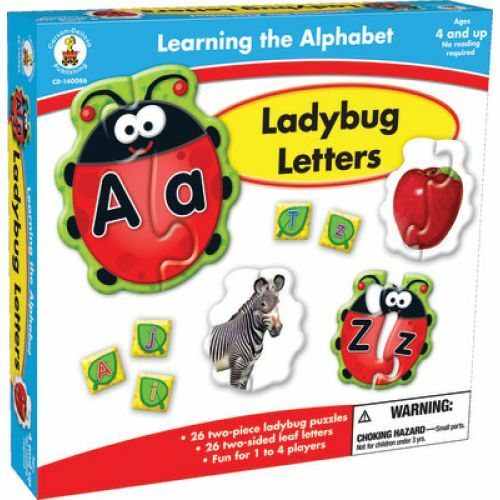 Learn the alphabet with ladybug puzzles. 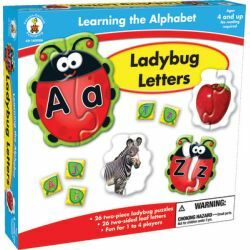 Each correctly assembled two-piece ladybug results in a letter match. Turn the ladybug over to see a completed photograph of an object that begins with that letter. No reading is required to play three different games.